The writers ceased to be involved in the day-to-day administration of the gallery from 1990 onwards, hence the material available for this later history is rather sparse. We would welcome contributions from anyone involved during these years. Please contact the author via the contact form. Claire McDonald held the position of Director from 1990 to 1992. She was followed by Peter Ride, from the Photographers Gallery in London, who occupied the post from 1992 to 1995. The regular exhibition programme continued and maintained its inclusive view of all applications of the medium of photography. 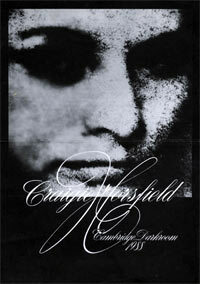 Historical work shown included Carlo Bevilacqua, Bauhaus Photography, Charles Negres and Madame Yevonde. Mainstream, modern artist/photographers exhibited included John Stathatos, Susan Trangmar, John Blakemore, Jim Harold, Richard Heeps and Sharon Kivland. Artists such as Imogen Stidworthy, Fran Cottell, Elspeth Owen and Stewart Wilson brought video, installations, performance and mixed media to the gallery. Beginners and local artists continued to show their work alongside the established figures. True to the original conception of the Darkroom as a broad-based platform, photo-based art and experimental photography was shown as well as documentary and issue-based work. A broad programme of talks and events was maintained, embracing new media such as video alongside traditional photographic techniques. Formal architectural work was shown; and there were also landscape and children’s workshops. Ronnie Simpson, formerly at Focal Point Gallery, Southend, was appointed director in 1996. 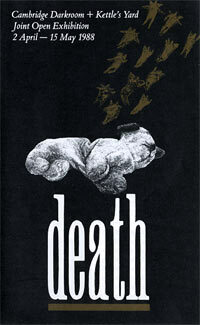 Shows that year included work by Ray Mehta, the Douglas Brothers and Yve Lomax. In Cyberspace presented projects supported by the Darkroom made to be viewed through the (then) new medium of the Internet. Traditional beginners workshops were run alongside computer-based courses in 1996; courses in 1997 included, An Introduction to Multi-Media, Making Your Own Web Page, Surfing the Internet, Photoshop: Introduction to Computer Imaging, Photoshop:Advanced and Making Images for the World Wide Web. The Darkroom was never slow to absorb and integrate new technologies and ways of working. 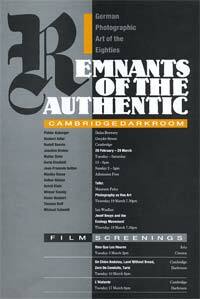 In 2000, the Cambridge Darkroom ceased to exist. The director at the time, Stefan Kalmàr, said 'This is no longer a photographic gallery'. "The Institute of Visual Culture, is a new organisation in Cambridge championing innovative contemporary art. Located in East Anglia while reaching out to the world, the Institute’s own productions: exhibition projects, research, commissions, publications and conferences both contribute and actively challenge the international discourse surrounding the practice and theory of visual art and culture today. The Institute explores challenging and intellectually inquisitive contemporary art practice in all media. It proposes ways of working and thinking which examines the cultural, social, scientific and economical structures that surround us, in order to expose, re-think and re-present aspects of the world we live in. The Institute provides an active framework for the discussion of art beyond its aesthetic values. By working in this way the Institute of Visual Culture steps outside the shadow of the narrow terminology of contemporary art. It annexes progressive artistic approaches and institutional critique from whatever period, and works towards a future model of contemporary organisation, theory and pratice. The Institute not only discusses the socio-cultural significance of contemporary art practice and theory today, but also re-defines, through its own productions, the place, space and value of contemporary art within today’s society. 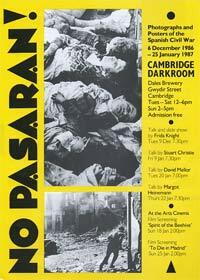 It obviously was unpredictable; in February 2004 the Cambridge Evening News announced that the Institute of Visual Culture, formerly The Cambridge Darkroom, had gone into voluntary liquidation owing £70,000. All the founders were sorry to see it go, as indeed were many of its regular users and visitors, but perhaps its demise was inevitable given the cliimate for funding 'art' and the increasing use of digital cameras at that time. It achieved a lot in its 20 years' existence and provided a springboard for many photographers, as well as a practical resource facility to enable them to indulge their craft in those pre-digital days.